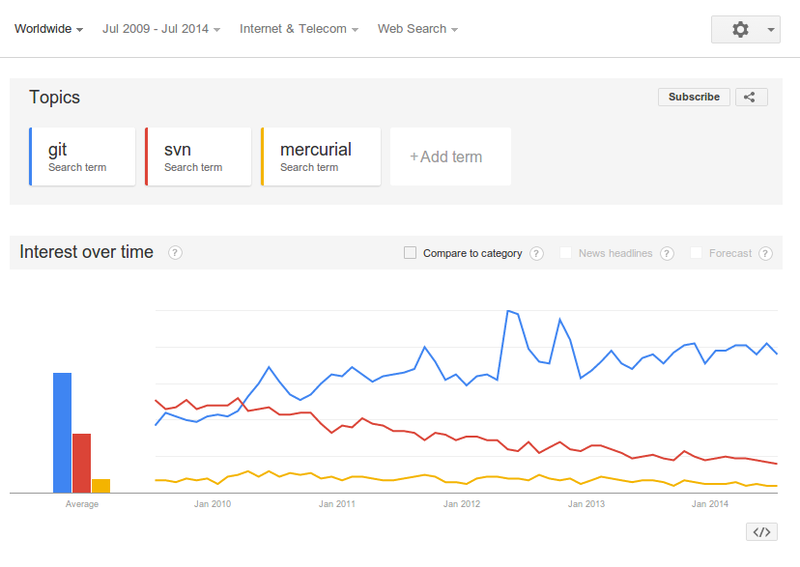 What is common between Google, Facebook, Microsoft, Twitter and Linked in? If you are looking for the answer its Git the Distributed Version Control System (DVCS) that has simplified software revision control. Its major features are speed and performance combined with ease of use provided you know the basic git concepts. If you are new to git you should read some getting started tutorials or if you have used SVN you should read migrating to git. For the audience of this post, I assume that you are already using git for some time and are familiar with concepts like commit, push a branch, pull changes from remote repository, merging a branch to “master” and similar daily things that git users normally do. I started using git in early 2009, then I has little experience with SubVersion (SVN) and git was a refreshing change to slow and difficult SVN. At that time, we did not do much branching or follow the git flow branching model. 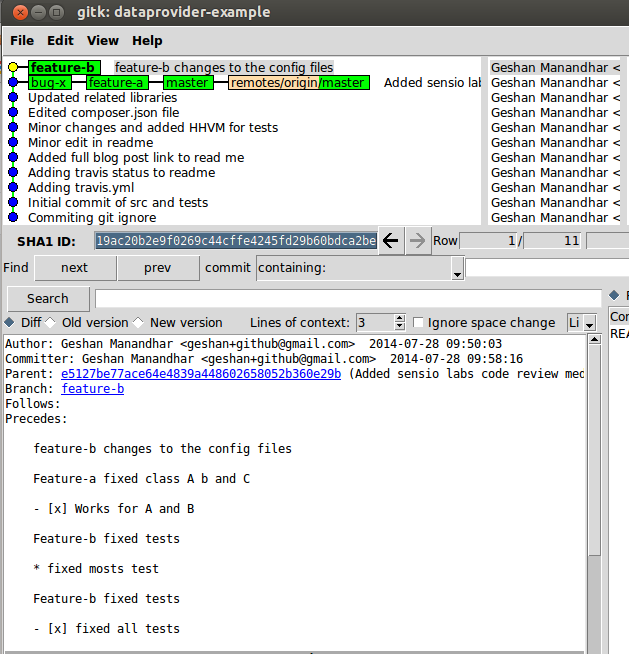 I rediscover the power of Git in 2012 when I joined Namshi where we were a bigger team than I used to work with and Git made total sense. We were also using a revised git flow with lots of branching, merging, rebasing and tagging for releases. And remember when using Git, its about telling the story of your project, how you and your team decide it will help maintain and informative history of your project. So you are working on a new feature on your branch my-feature, before you commit, you do a git status to list your files, then you need to know what changed in the files you should do git diff on your working directory. It will see all the changes you have made. -This is the basis for LEMP stack (minus MySQL). This is based on [phusion/baseimage-docker](https://github.com/phusion/baseimage-docker) base Ubuntu image, which takes care of system issues which Docker's base Ubuntu image does not take care of, such as watching processes, logrotate, ssh server, cron and syslog-ng. +This is the basis for LEMP stack (without MySQL). This is based on [phusion/baseimage-docker](https://github.com/phusion/baseimage-docker) base Ubuntu image, which takes care of system issues which Docker's base Ubuntu image does not take care of, such as watching processes, logrotate, ssh server, cron and syslog-ng. It can be used on github as well, with a URL like: https://github.com/geshan/angular-presentation/compare/master…more-intro - so this is comparing master with the more-info branch. The same can be done with commit hashes. There are a lot of other git configurations you can try and tune git to meet your needs, if you want to look at the current configs applied to your git globally do cat .gitconfig on your home directory. You are working on feature-a, an urgent bug say bug-x is discovered and you need to leave what you were doing for feature-a and fix bug-x. What do you do with the changed files in branch feature-a that you were working on, you don’t wan’t to commit or push it as its a work in progress. Here comes git stash to your rescue, you can just stash what you were doing on branch feature-a and finish work of bug-x then come back to feature-a branch and pop or apply your stash. How? # work to fix bug x for 1 hr, its fixed now. ✹ ᐅ git add . Stash pop will remove the last stash, you can do git stash list to check all your stashes, stashes can be saved without name and can be applied with the hash. Check the stashing docs for more information, generally I follow the above flow for staging and prefer not having any stashes in the list. You did this big feature taking 4 days work and as a good git user you did commits when the code was stable. So now you have 10 commits in total for the feature-b you worked in for 4 days. Do you really want to send a Pull Request with 10 commits, may be along the way you wrote some commits messages that are not so relevant now. So how do you get the 4 commits to become 1, its easy you squash your commits using git reabse -i, how? ✹ ᐅ git rebase -i HEAD~4 #the last number, here 4 is the no. of commits you want to squash. # change all picks except of the first one to s.
# 4 of your commits are squashed into 1. This is just scratching the surface of git there are lots of other things that can be done with git, like cherry pick commits, list git branches sorted by created date, bisect for debugging, you have to know how to fix conflicts with tools like meld etc. Then you have git hooks which open up a new world of its own like having pre-commit hooks to do checks of code and run tests. 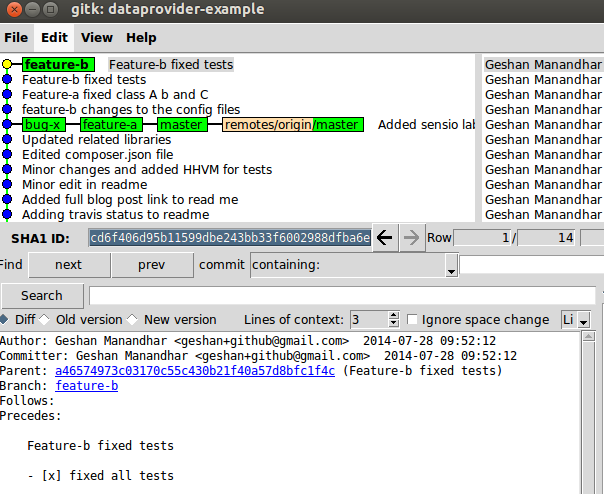 Git has also been used to version control text related projects like books not only code. So the possibilities are endless and if you are not using Git you are missing on a lot of things.